Whether we are interviewing a patient/consumer, carer, health professional or medical researcher, that same approach applies. Why? Because each of these individuals has an equally important story to share, and it’s our responsibility to ensure they feel comfortable, are understood, and their message is being communicated effectively. Empathy: Taking time to prepare and research is vital in order to fully understand the person about to be interviewed. This pre-shoot preparation informs how the interviewer speaks, the language used, the way they engage (e.g. body language, eye contact), the questions asked and the respect shown throughout the interview. Respect and empathy need to be at the core of the approach, as this opens up conversations and takes them in more interesting and revealing directions. Understanding the individual’s relation to the subject, whether they’re a patient or a researcher, allows for a more sensitive and/or diligent approach to the project. 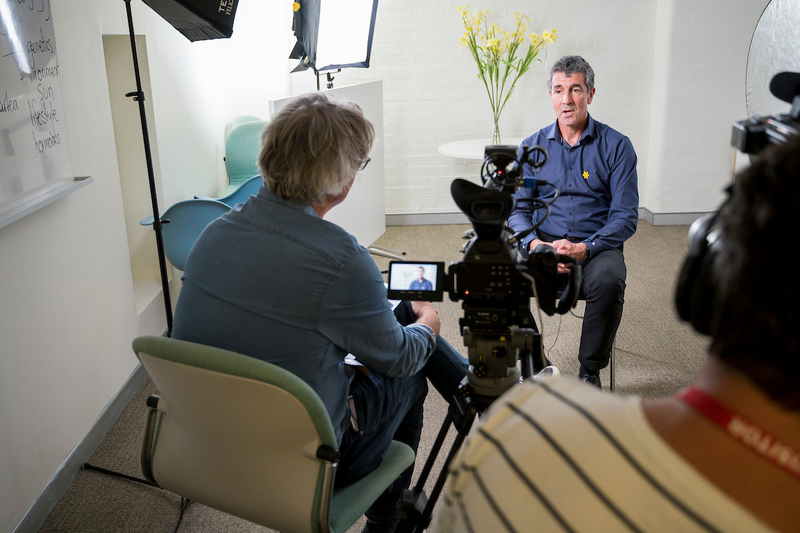 Interviewing expertise: Interview subjects need to feel relaxed to keep their storytelling conversational and authentic. 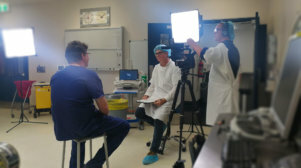 The interviewer needs to ask questions that reveal the interviewee’s passion, but also make the subject aware they’re in control of their story and the project’s key messages are captured and communicated successfully, including breaking down medical jargon into layman’s terms. This ensures interviews need to be tailored towards the individual and avoid a cookie cutter approach. Editing expertise: Find the 1-2-minute story arc within 20-40 minutes of interview footage. Identify a strong statement – sometimes an unexpected or revealing statement – to hook the viewer in at the beginning, then develop the core aspects of the story in a way that is compelling and doesn’t labour on the same points. Lastly, find an ending that brings the viewer in, inspires them, makes them feel compassion and/or empathy. Importantly, the editor understand which information is vital, and which information is unnecessary. Avoiding information that is too detailed that ultimately slows down the pace and energy of the story is crucial. Visual storytelling: This means using cutaway footage not just as visual filler, but to help the audience get to know the person better. Look for shots that describe a person, their mannerisms, their movement and their facial expressions. It means looking for closer, more detailed shots that reveal to us the type of person we’re interviewing, their closeness to the subject matter, and allows viewers to form more of a connection to the subject and their story. Call to action: Understand how to link the story to a desired action from the viewer – making a seamless transition from the story to the action people should` take as a result of watching. This might involve visiting a website for more information, registering for a program, or attending a health event. We believe the Laundry Lane approach – finding the human element of a story, getting past the jargon, focusing on real people and genuine emotion – has particular relevance in the area of health. This approach is at the core of everything we do. We call it ‘video with heart’.